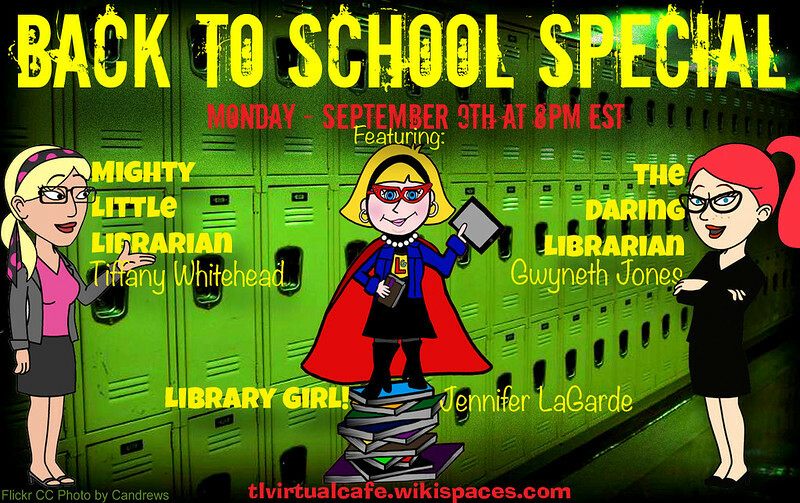 Join yours truly, The Mighty Little Librarian Tiff, and fellow Mover & Shaker Jennifer LaGarde for a casual discussion at the TL Virtual Cafe to generate ideas on how to build school allies, support new teachers & become indispensable to admin & staff at the beginning of every school year. Featuring how Google tools (forms, docs, & presentation, and more!) interactive Wikis, Scoopit, Edmodo, Curation, and school blogs, can supercharge the library program & classroom throughout the school year. 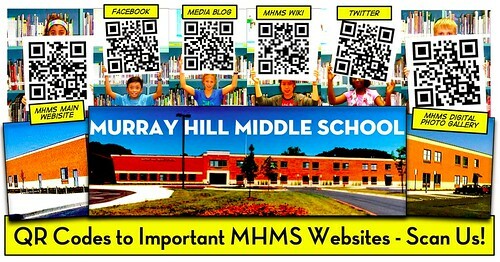 For Teacher Librarians, classroom teachers, tech teachers, admins, & well...everyone! 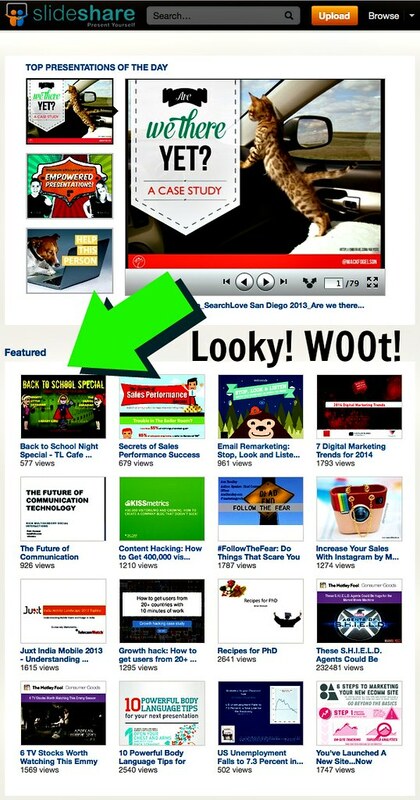 Here's our presentation --AND Exciting News...it was featured on Slideshare's front page! (Screenshot at end of post!) We got about 1,500 hits in less than 24 hours! BAZINGA! And as always at this time of the year I create a fresh new Back to School Night (or BTSN) Powerpoint for you to download & share with your teachers! 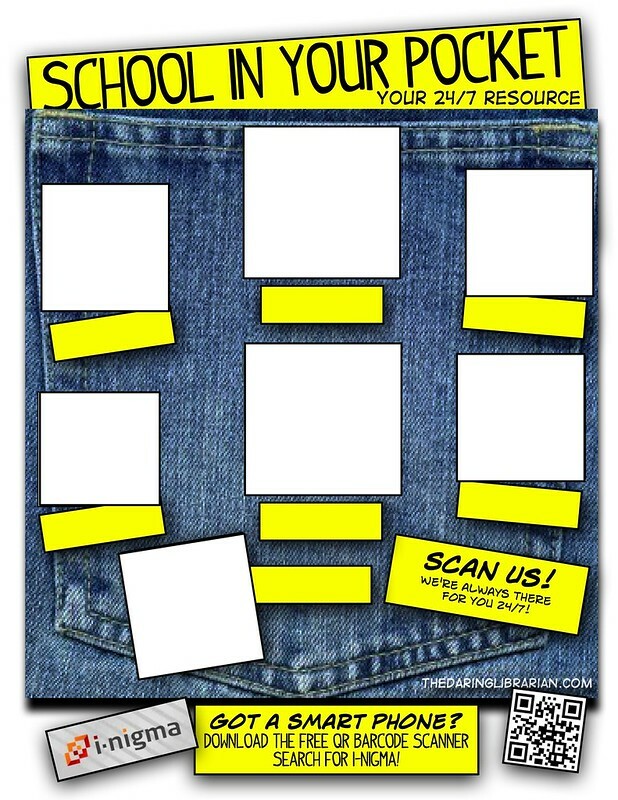 Take off our Webinar branding slides & re-save with your name & call it your own - I won't tell ;-) Just be the school hero & provide them with a custom designed communication piece to share with parents with my compliments! More stuffs on our BTSN Wikipage! 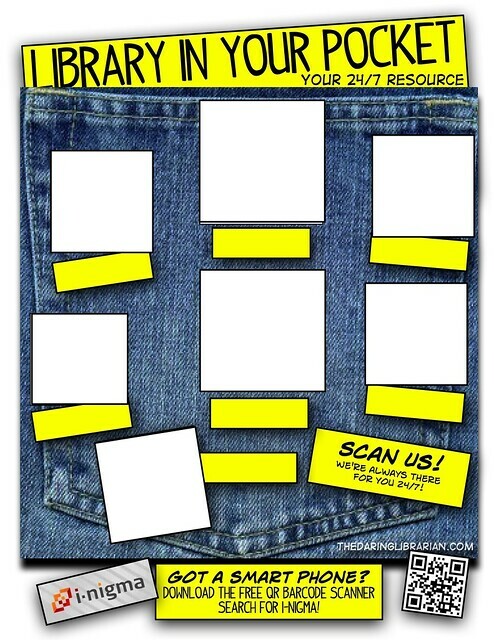 Library in Your Pocket - Blank QR Code Poster - Take, Use, Share! 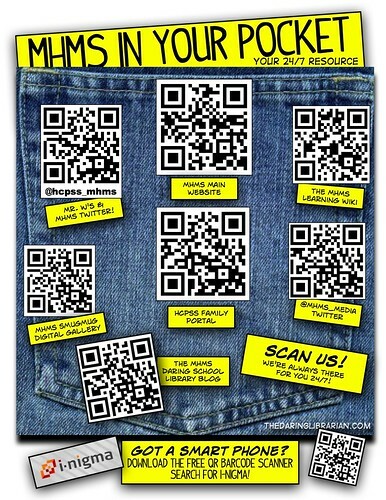 School In Your Pocket - QR Code Poster - Take, Use, Share! 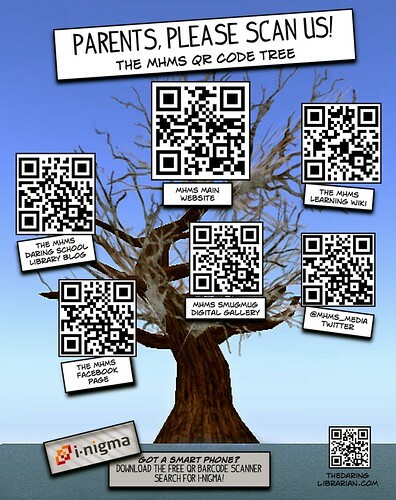 & Fill in Your Own QR Codes! 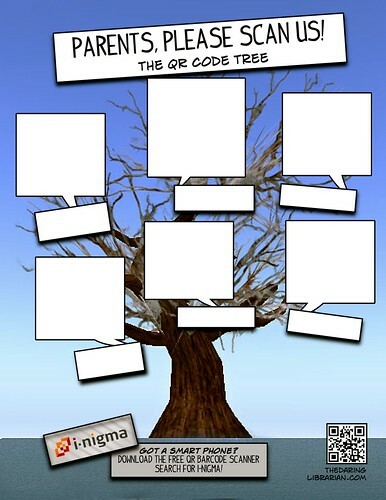 Here's another idea of how to connect with parents & the community! 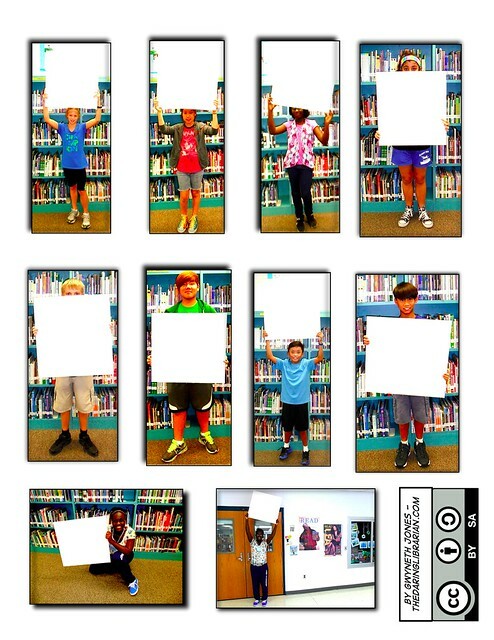 I took a picture of my kiddos holding up a square of blank foam core! 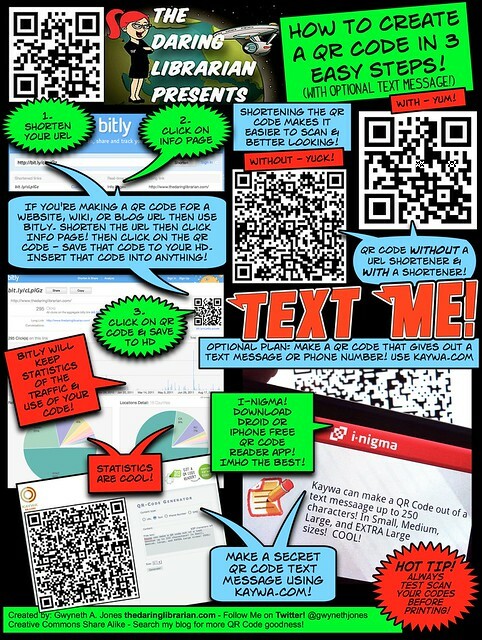 Then I added the QR codes! & Go Crazy With Photoshop or PicMonkey! we may include them in our Webinar!